Companies who try to increase their online sales often focus on optimizing their search results for Google, Bing and social media platforms. While this is certainly important, many forget about another search results page that could raise their conversion rates – their websites internal search engine. 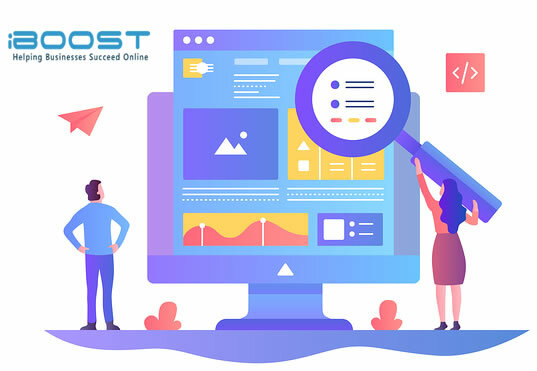 At iBoost, we help businesses of all sizes find new ways to grow their audience and reach their sales goas using the latest SEO and digital marketing strategies. User experience is important for all aspects of your website, and site search is no exception. Here are some tips that can help you transform your site search so clients can find what they need without hassle. On many websites, the search bar is hidden in a corner, or at the bottom of the page, where few will ever find it. If a customer is trying to find a blog post, service page or product, they may decide to leave your site altogether if they can’t find a way to search for it. Place the search bar in a prominent location where it can be easily viewed. Imagine that a customer is browsing through your site for the first time, trying to find a specific product. They type a description in the search bar, but the page loads and says “No Results Match Your Search Criteria”. In many cases, that person will assume you don’t carry the item, even if you do. Make sure you use a high quality on site search engine that’s capable of providing suggestions when there aren’t any direct results listed. This may give them an additional opportunity to find their way to appropriate page. While blank pages can send clients away fast, so can having too many results. If they type in a few simple keywords and receive a hundred links, but nothing stands out, they could get lost or distracted by irrelevant information. If you sell products on your website, it’s important to provide advanced search options and filters, so your customers can sort the results by characteristics like price, color, size, etc. They may not be able to phrase exactly what they’re looking for in a search bar, but can narrow their options down as they browse your inventory. Are you looking for creative ways to increase traffic to your website, and improve your websites sales conversion rate or neeed a website development service? There’s no reason to let your online reputation fall behind the competition. Get the results you’ve been looking for with the help of the friendly, knowledgeable experts at iBoost help. Our team of highly trained and experienced digital marketing specialists will help find a customized solution that works best for your unique business and budget. Contact us today for more information about our wide range of services and find out how our experts can help you reach your goals.